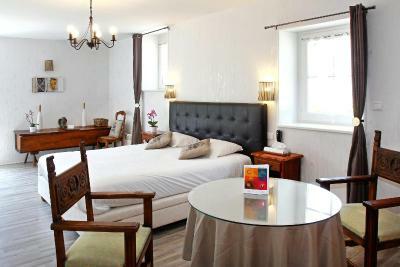 Lock in a great price for Hotel The Originals Manoir de Moëllien (ex Relais du Silence) – rated 8.8 by recent guests! Great place. Very comfortable duplex with toilets on both floors that very important to families with children (no night wandering on the staircases). Huge separate bathroom. enough place for luggage. Big closet. 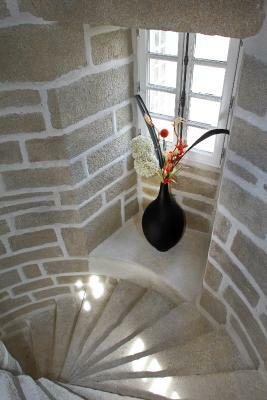 Each room comes with small terrace. Great restaurant for the dinner. Very attentive staff. Great restaurant ambience, stunning views from bedroom. 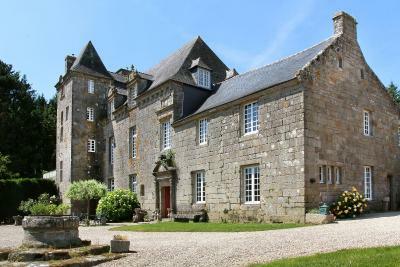 The Manor is an impressive historic building. 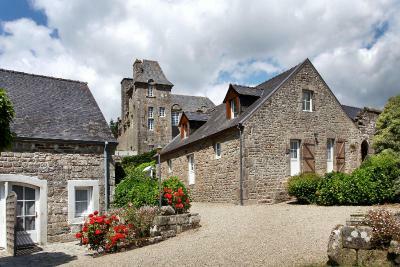 The Manor is close to Locronan, and the parking area is spacious and very close to the rooms. 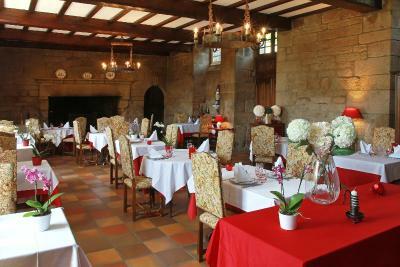 The dinner at the restaurant was served in a large hall with great character and a nice fire in the fireplace, and the food was outstanding --- a gourmet meal from start to finish. This is a beautiful old house in a lovely setting. The facilities are great and super modern and the food was great. 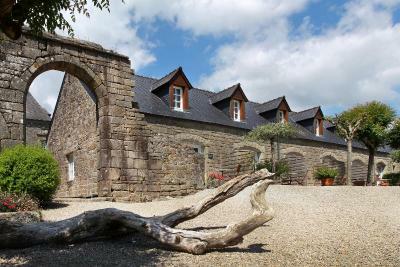 A very interesting ancient building- amazing what the owner has achieved! The album of works a 'must' for all visitors to see - and understand just what a huge task he had. Our dinner was oustanding- congratulations to the chef. 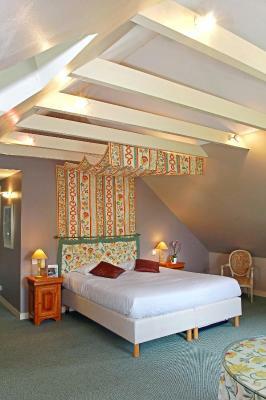 Comfortable rooms in old buildings adjacent to the main house . Standard of food in the restaurant was very good and good price/quality ratio. Lovely quite location in the countryside. The food looked to be expensive, but the quality and quantity you get makes it great value for money. For me, this was the best value food I have had all trip. Well worth going out of you way for this food. Staff very friendly and helpful. Menu translated into English was a help for me. 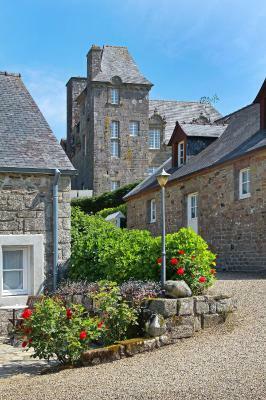 Hotel The Originals Manoir de Moëllien is located 2.5 mi from the coast, in the Finistère countryside. 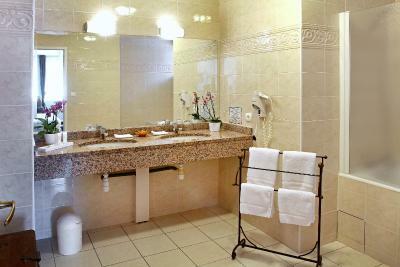 Each guest room has a private bathroom, a terrace and TV. Free WiFi access is also available. 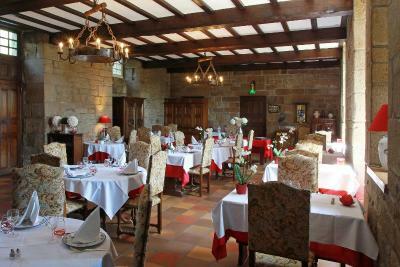 This 17th-century manor restaurant serves refined, seasonal cuisine and reservation is needed. 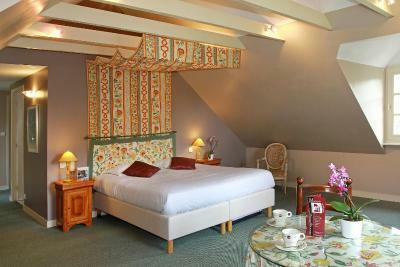 The breakfast can also be taken in the comfort of the rooms. 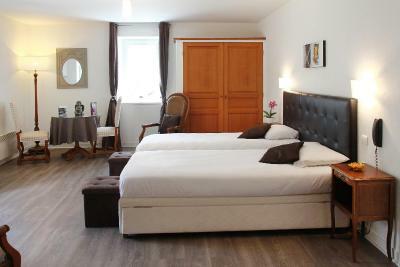 Guests of Hotel The Originals Manoir de Moëllien can also relax with a drink and a free newspaper in the hotel bar and enjoy the hotel’s library. Maps of the region and footpaths are available at the reception. 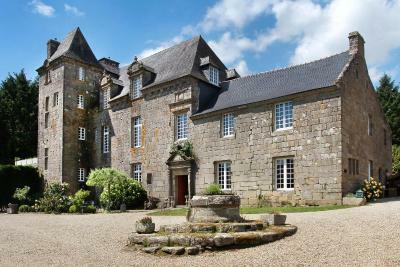 Hotel The Originals Manoir de Moëllien is located 1.2 mi from Locronan. 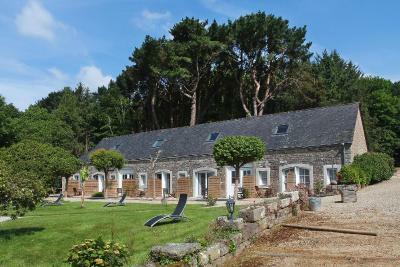 Guests can visit thalassotherapy centers at Douarnenez 7.5 mi away and the Quimper’s faience shop and Cathedral, 12 mi away. 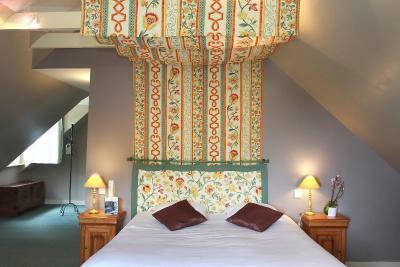 When would you like to stay at Hotel The Originals Manoir de Moëllien (ex Relais du Silence)? 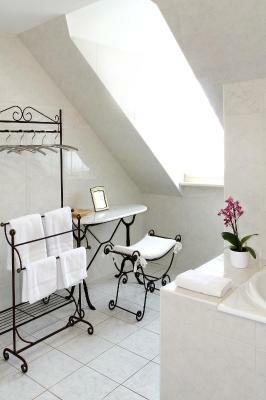 Located on the ground floor, this room offers a private south-facing terrace and a private bathroom with a walk-in shower. 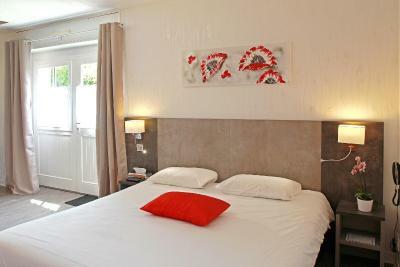 This spacious room has a ground-floor terrace and a private bathroom. 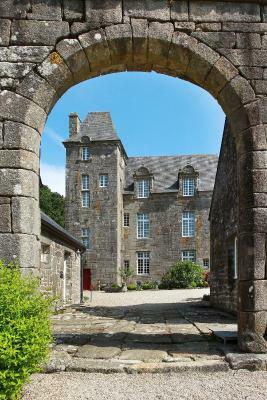 A flat-screen TV and tea and coffee making facilities are available. This Deluxe Room features a flat-screen TV in its seating area. 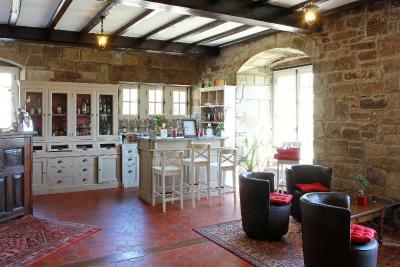 It also includes a mini-bar and facilities for making hot drinks. House Rules Hotel The Originals Manoir de Moëllien (ex Relais du Silence) takes special requests – add in the next step! Hotel The Originals Manoir de Moëllien (ex Relais du Silence) accepts these cards and reserves the right to temporarily hold an amount prior to arrival. During our stay WiFi didn’t work. The breakfast is very limited for the asking price. Frankly we get better breakfast at the chain hotels. 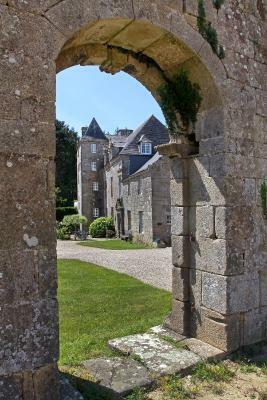 The manoir had a very cold feeling about it- both in the reception area and in the dining and breakfast rooms... everyone was wearing their sweaters and overcoats, even for dinner. Bedroom also cold. Disappointed that it was not made clear at booking that restaurant was not open on night of our stay. At breakfast some of baked items seemed to lack freshness and croissants were darkest brown I’ve ever seen. Staff pre occupied with clearing up evening glasses, had to request bar service for us and other guests, someone from office came served other guests and ignored us and went back to looking at pc in office. After waiting 20 mins we decided to leave it. Needs better management for certain. 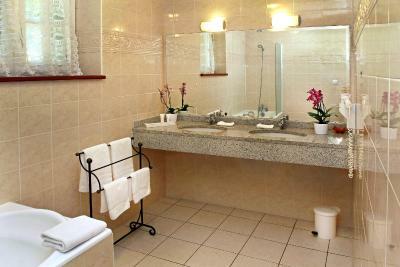 The bathroom suffered from the age-old complaint of smelly french drains. Slow WiFi in the rooms and not much better in the reception area. However this is the type of place where you are supposed to be able to get away from it all! Could not have dinner there as a resident. Lots of little details which if got right would improve it. The bathroom was new and very good, but, as reported elsewhere has nowhere to put shower gel so you have to put it on the floor which is inconvenient. Also no bin in the bedroom. The staff were generally lacking enthusiasm except for a new waitress who was very helpful. W e almost felt as though we were a nuisance. The dress of the staff was slightly stuffy. None of these mattered too much but added up were a definite negative. 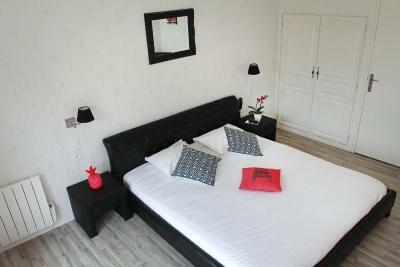 A beautiful place to stay with a comfortable room. Excellent dinner.